Was supposed to be the final sitting of the House of Keys but because of the Brexit vote Tynwald Court was called for an emergency session. Some light relief before the sitting when Svetlana Cameron unveiled her new portrait of Madam President who is retiring at the end of this parliamentary session. 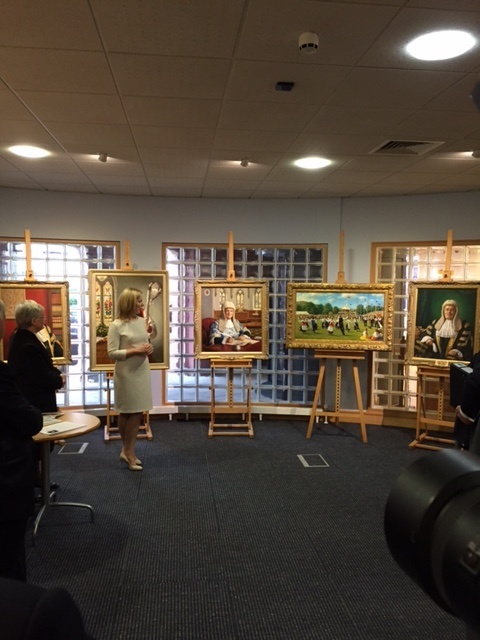 She also had on display a variety of other pictures she has painted which are really spectacular. The detail of Madam President is incredible and captures the essence of not only the subject but the surroundings in the Royal Chapel. There is a small exhibition that will remain in the Tynwald Library and available for public viewing over the next few weeks. The Tynwald Sitting resulted in an interesting debate and wide ranging. I made a fairly comprehensive speech on a more positive note than many as I am getting frustrated with all the negativity that seems to be following us around. There will, I am sure, be new opportunities, we have never been in the EU, they have never been our friends, they have done the best they can to destroy our financial services and European anti-competition rules have prevented us favouring Manx companies or Manx produce. Free from some of these shackles there are opportunities. Of course there are uncertainties and it would be silly to ignore these but we need to be positive both on island and when dealing with the outside world. Tynwald Court unanimously supported the motion to support the Council of Ministers in their ongoing work to protect our island interests. The final sitting of the Keys in this parliamentary session took place immediately afterwards, apart from a thanks to Bob Martin our Chaplain who is retiring and a short final speech made by the Speaker who is likely to be in another post within the next parliamentary session, there were 18 oral questions and 6 written. Of interest a question about the leachate from the Raggatt which is apparently still sufficiently concentrated to require tanker transportation to the Peel sewage outfall where sea water dilution reduces it to acceptable levels. From a personal perspective I think this needs addressing and may well be so when the new Peel sewage works comes online or the leachate could be disposed of via Meary Veg. An interesting question on the number of calls to Government that are recorded, apparently of 5,000 incoming calls 212 are recorded and last year 241,000 calls were recorded. The sitting was followed by the Speakers lunch, attended by most members. This entry was posted in Uncategorised on 30th June 2016 by geoffreyboot.org. Foxdale School. Attended a meeting kindly arranged by Patrick Commissioners for public consultation into the proposed Highways improvements through Foxdale and disruption that will be caused by road closures. It was a positive meeting and a lot of points were raised. I am preparing a précis of these for forwarding to Highways prior to a further meeting in about a months time. I will post the list in due course if anyone has any comments or additions then please let me know. A final vote with regard to ‘should the works proceed as programmed’ resulted in all but one person voting for them to proceed as programmed as there is a fear that if they are delayed particularly with parliamentary changes impetus will be lost along with funding. The final meeting of the Social Affairs Policy Review Committee, follow up of oral evidence for the ongoing inquiries from the Department of Health and Social Care and the Department of Home Affairs. The Committee will now not meet until the new Parliamentary session when it will be populated with new members depending upon who is re-elected. I found it a very interesting and active Committee and we have prepared searching report into children and Social Services which is before Tynwald and interim reports on other matters. Sadly time has not enabled us to complete the inquiry into Dependability Capability Assessments but the groundwork has been started. A weekend spent with our daughter and son-in-law and two grandchildren, pity about the weather especially on Sunday when we attended the St Johns School PTA Summer Fair. The weather cramped their style a little but they coped very well mainly indoors. 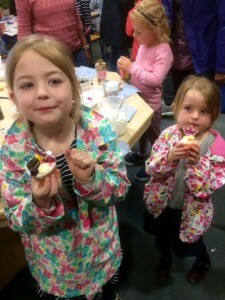 Our grandchildren loved it and our daughter who lives in Kent was very impressed with the School. 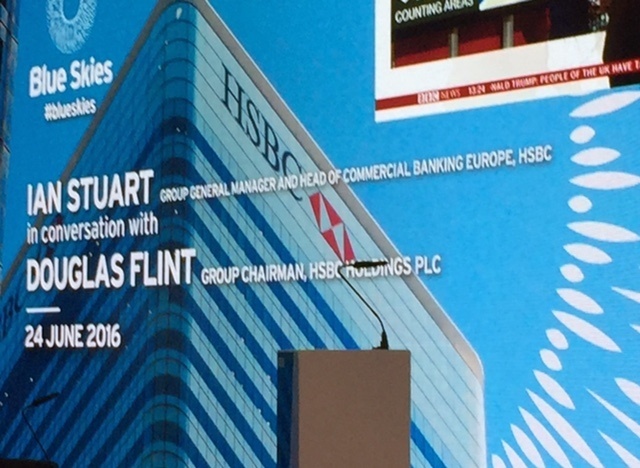 A good networking opportunity, also a brief meeting with Douglas Flint, Group Chairman HSBC Holdings plc, who later gave a short speech on a number of things including the impact of Brexit, where once again the message was positive in terms of readjustment and opportunities. This entry was posted in Uncategorised on 24th June 2016 by geoffreyboot.org. Woken at 4am with BBC news headlines and confirmed later the UK has voted out. I have to say I didn’t expect it as probably most of the commentators didn’t. I am a great believer in a half glass full and whilst there will undoubtedly be some challenges that will affect the Isle of Man there will be some opportunities as well. 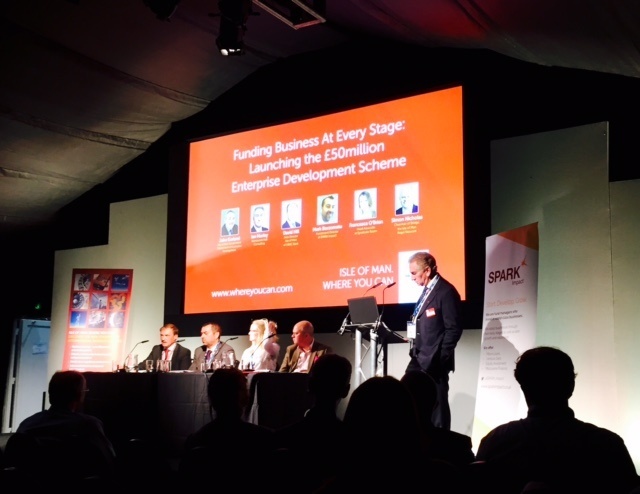 This morning I have been at the Liverpool launch of the Isle of Man Enterprise Development Scheme which was extremely well attended with a very knowledgeable panel including a representative from HSBC, Crowd Funding, Business Angels and from SPARKS who are managing the EDS Scheme. 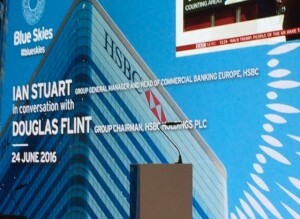 There was of course some discussion over the impact for the Isle of Man of Brexit but on the whole the message from HSBC was positive, concentrating on the opportunities rather than the negatives. There will be a lot more to come over the next few days but at the moment it would seem it is steady as she goes. In due course our Protocol 3 relation with the EU will fall and what, if anything, will replace that depends very much on negotiations that happen through the UK. I suspect this may be the impetus for a little more independence and perhaps a trading relationship similar to that before we had Protocol 3. Early morning start, Isle of Man Offshore Renewable Energy Business breakfast, 50 plus people. A good networking exercise and announcement of intention to hold a further licencing round for the exploration for hydrocarbon (gas) in Isle of Man waters. Again ably assisted by Dr Ken Milne. See new release below. The Department of Economic Development has announced its intention to hold a licensing round to select potential partners interested in offshore energy generation in Manx waters. The announcement took place during the Offshore Renewable Energy Breakfast event organised by the Department of Economic Development as part of the International Festival for Business 2016. This follows the Department’s recent appointment of the British Geological Society as technical advisors to assist with exploration for hydrocarbon (gas) in Isle of Man marine waters. This entry was posted in Uncategorised on 23rd June 2016 by geoffreyboot.org. 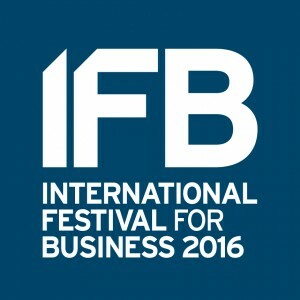 Attended IFB Liverpool 2016. Spent most of the day visiting the stands and promoting the Isle of Man. Some interesting contacts. 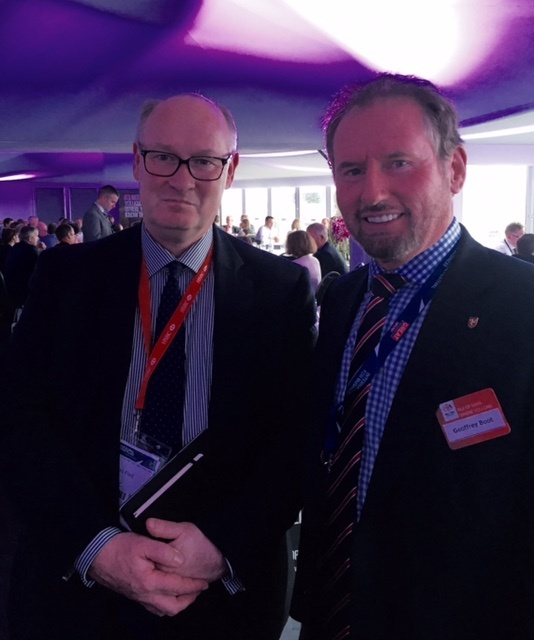 Evening – hosted Isle of Man Cleantech dinner with Dr Ken Milne Director of Energy and Support Services, Department of Economic Development (DED). Castletown and Port Erin fire station news release. Ran the gauntlet of demonstrators that we had been warned about. I have to say a very amicable crowd at the front of the building, pro abortion and pro life, but the pro life found out where members mainly entered and were handing out leaflets there. A fairly packed order paper with some 34 items. 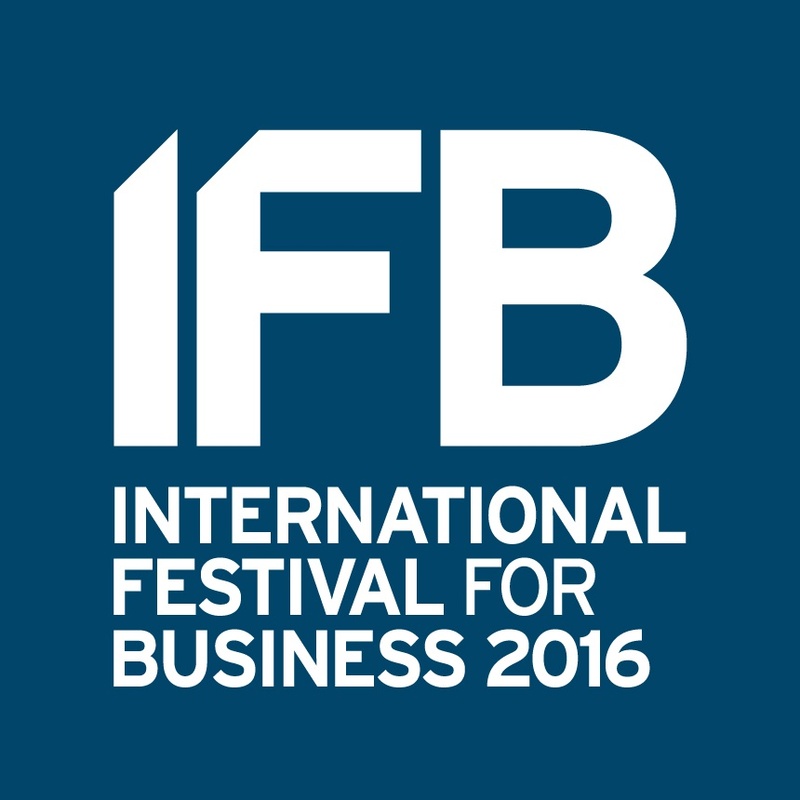 Only there for the first day as now in Liverpool representing the IOM a the International Festival for Business. 13 questions for oral answer. Of interest the Lord Bishop asked the Chief Minister to what extent the island will participate in the UK Government Syrian Voluntary Person Settlement Scheme. In essence this means taking unaccompanied refugee children, a very noble aim and one that we can all support helping vulnerable children but the Chief Minister having taken much advice from both the UK and Scotland made the case that we simply were not prepared in terms of social services language difficulties etc and advice from across was we should not take unaccompanied children. I suspect this will come up again in due course. A question about social security payment for private rental accommodation. I got the impression that it was another way at having a go at private landlords. We all want good housing standards but social as well as private landlords have properties that are not in good condition. As I see it if it wasn’t for the private sector there would be massive burden on the social housing sector. There were further rumblings over the electoral register and people having been deleted and the Attorney General admitted that the whole issue needed revisiting with updated legislation. Questions about home stay registration, which it appears has been successful, increasing available accommodation by over 16% for recent TTs this is now operated by Regency Travel with a £25 registration fee for one year and £45 for 3 years. There were searching questions about the ongoing future of the Meat Plant and this years subvention which currently stands as £318,000, a new interim manager has been appointed and further strategy being developed. Personally I think this is a strategic asset for the island or our farmers will be at the mercy of export buyers and its closure would threaten our food security so it’s a matter of watch this space. A question about the average waiting times for processing driving test applications and test dates, these are currently around 10 days for the paperwork process and normally between 4 to 6 weeks for a test but at present running at 7 weeks – on the long side as far as I am concerned. Finally a question over whether housing tenants are consumers. A slightly ambiguous answer that they might be or might not be as landlords are not traders. I would have thought that private housing tenants were in a contractual relationship but apparently there maybe some protection offered, although this is debatable. There followed statements on the future of Property Taxation, that is the new Self Assessment rating system. Dependability Limited and their assessment process. The Minster had to apologies to Tynwald for the fact that 20 people had been processed by an unqualified individual, these are now being revisited with benefits restored until reassessment. Minister of Health applied for a supplementary vote for an additional £9,943,000 being the overspend for the year end 31st March 2016. Apparently there has been an overspend for the last 15 years. We had some examples of how easy it is to spend additional money, for instance we spend £1.9 million a year for specialist care for just 16 people in the UK. Minister of Health presented a case for the Salisbury Street Care Home, a new off the peg Nursing Home. It was agreed to purchase at £8,100,000 and will provide 68 much needed beds, 40 of which will be within the social allowance of £820 per week. Castletown and Port Erin Fire Station reorganisation approved and supplementary capital allowances. Today the Public Sector Pension Debate continues.